What if you were told Yoga was a cult? Would that influence your choice of going to yoga? For JB Stearns who teaches out of Las Cruces, New Mexico, this is exactly what happened back in 1982 when he found pictures of people doing Yoga. Informed that it was a cult, JB sought other paths for activity. Click here to listen to how Yoga came back to his life and inspired him to share it with the world, in the hopes that Yoga enters the life of other people earlier, without the judgement. His website www.tapintounity.com is built to offer students an opportunity for all practitioners to find their path to Yoga. The podcast offers an incredible gift at the end, so be sure to listen all the way through! JB began his yoga practice 8 years ago; he found out he had a hernia that he wanted to heal quickly from, and thought "what will make me strong and flexible at the same time?" Yoga was the obvious answer. 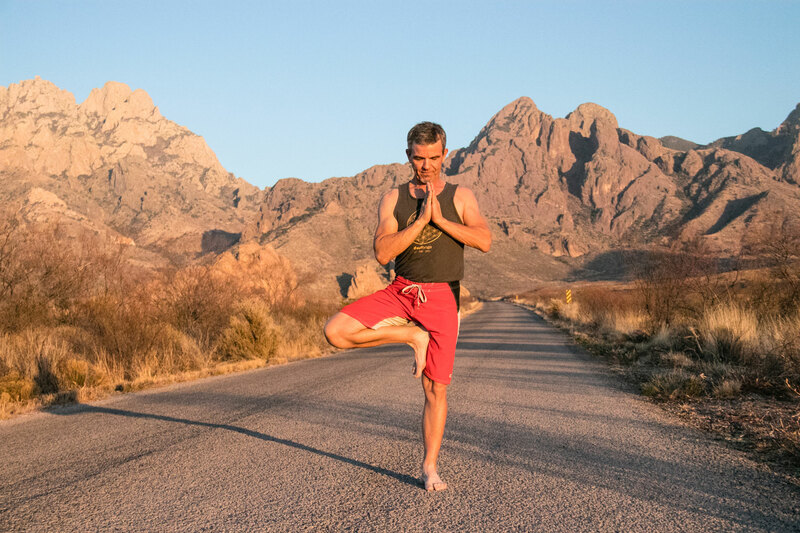 After finding so many other beneficial effects of his practice through the years, and realizing that yoga made him simply a better all around person, he decided to become an instructor. His primary reason for teaching? To give back to this amazing community that is yoga.